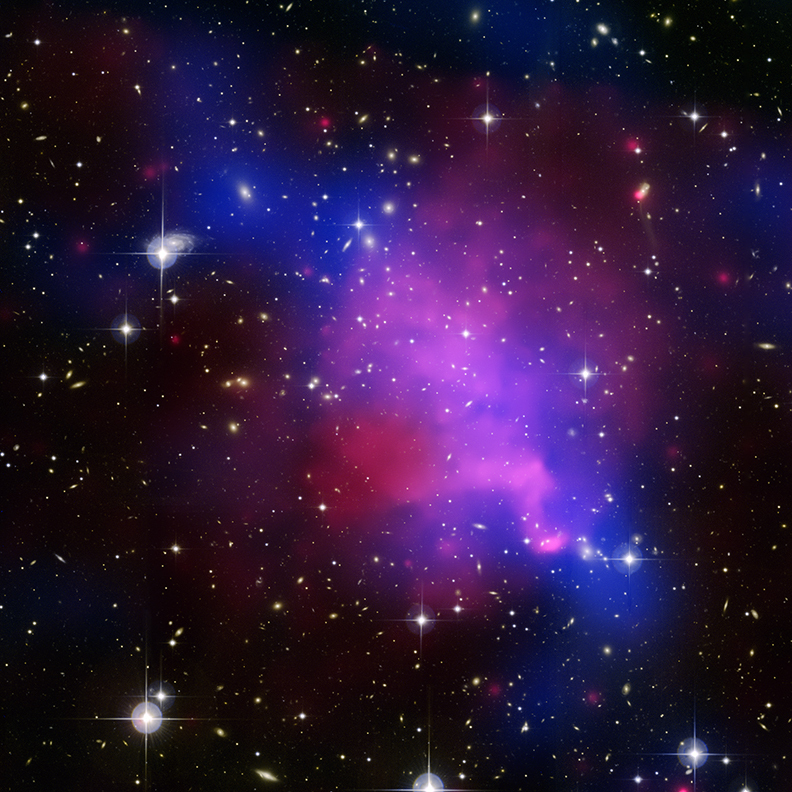 Credit: X-ray: NASA / CXC/ U. Victoria/ A. Mahdavi et al. Optical/Lensing: CFHT/ U. Victoria/ A. Mahdavi et al. 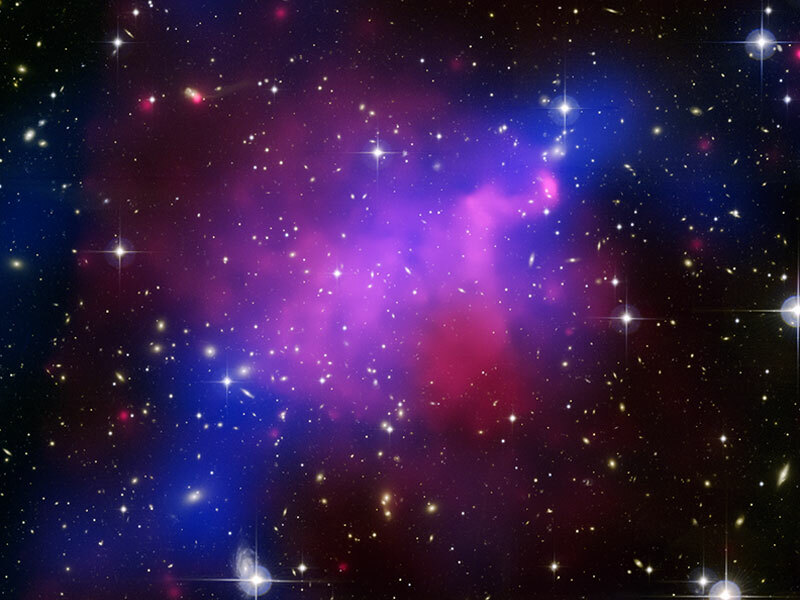 Explanation: Huge clusters of galaxies are surely colliding in Abell 520 but astrophysicists aren't sure why the dark matter is becoming separated from the normal matter. The dark matter in the above multi-wavelength image is shown in false blue, determined by carefully detailing how the cluster distorts light emitted by more distant galaxies. Very hot gas, a form of normal matter, is shown in false red, determined by the X-rays detected by the Earth-orbiting Chandra X-ray Observatory. Individual galaxies dominated by normal matter appear yellowish or white. Conventional wisdom holds that dark matter and normal matter are attracted the same gravitationally, and so should be distributed the same in Abell 520. Inspection of the above image, however, shows a surprising a lack of a concentration of visible galaxies along the dark matter. One hypothetical answer is that the discrepancy is caused by the large galaxies undergoing some sort of conventional gravitational slingshots. A more controversial hypothesis holds that the dark matter is colliding with itself in some non-gravitational way that has never been seen before. Further simulations and study of this cluster may resolve this scientific conundrum.